LOCKLINEThe documentary Thick Ice focuses on the life of skeleton athlete Kimberley Bos. A film about speed and succes, by Emma Thies en Iris Timmer. In the documentary ‘Thick Ice’ (release date Jan. 2019) we will follow Kimberley Bos while she is chasing her dream of becoming the best skeleton athlete in the world. Since the sport is not huge in the Netherlands, Kimberley has always worked really hard to be able to realize her own dreams, and that is exactly what she is still doing. Together with her coach Kristan Bromley, Kimberley is fighting to be faster, improving her times and making steps towards being the best skeletoni in the world. Therefore, ‘Thick Ice’ will focus on speed and success within the tracks of such an extraordinary sport. Kimberley is a professional skeleton athlete. 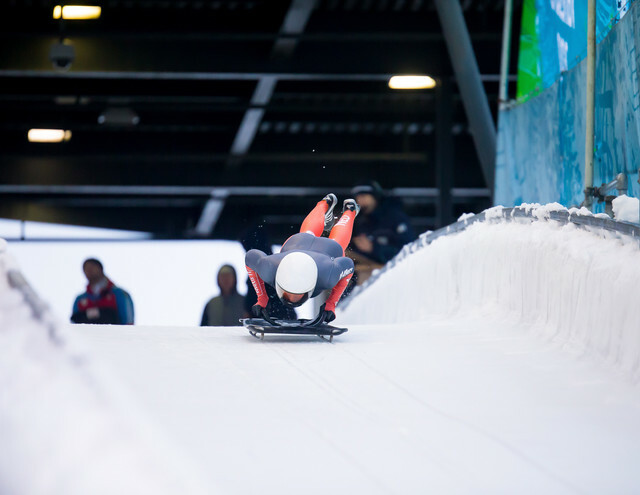 Skeleton is a solo winter sliding sport that is somewhat similar to bobsleigh and luge. A race includes a running start, after which athletes launch themselves onto their sleds, lying face down. What follows is a frozen track that is usually around 1400 metres long and includes between 13 until 20 curves. Last year, Kimberley Bos was the first Dutch skeleton athlete that managed to qualify herself for the Olympic Wintergames (Pyeongchang). Skeleton is getting more and more known in the Netherlands, but the sport isn’t as big as it is in the USA, Germany, Canada or the UK. Kimberley won two gold medals at the Intercontinental Cup (2017), is the current Dutch champion, got a third place in the World Cup in South-Korea in 2017 and is currently on the 14th position in the world ranking. For this project we need €2200 to make it happen. Every euro more will be spend on promotion materials, and we would love to hire a professional editor to make the film even better. Music has to be made, colors need to be corrected and we would love to go to Germany to see and film Kimberley while she is training there. Do you think you could help us? Be a part of our project and follow us on social media! 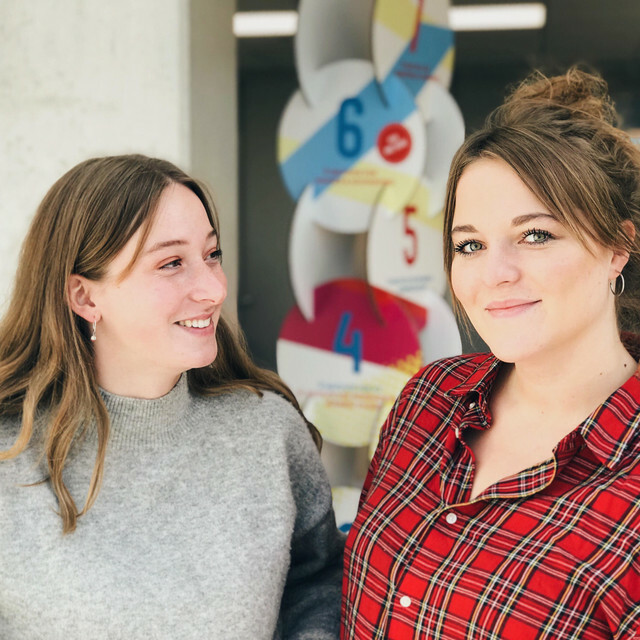 Emma Thies and Iris Timmer have been working together since their first year of journalism in Utrecht, The Netherlands. They've worked on several video-projects together. Now that they're in their 4th year of journalism, there is only one thing left to accomplish: a documentary. Their shared interest in personal stories led to the idea of this first documentary about skeleton athlete Kimberley Bos. Goed bezig! Ik ben heel benieuwd over het resultaat! Hoi Emma en Iris, heel veel succes en plezier bij het draaien en maken van deze documentaire. Dit kan een heel mooi en bijzonder verhaal worden, ik kijk uit naar de première. . Leuke titel Hard ijs. Lekker bezig. Laat die documentaire maar komen! Veel succes, ik hoop de film t.z.t te zien. Veel succes voor jullie alle drie. Maak er iets moois van! Succes met het maken van de documentaire! Het draaien voor 'Hard IJs' is begonnen! We zijn van start! De eerste draaidagen voor 'Hard IJs' zijn begonnen. Eerder deze week filmden we Kimberley tijdens haar training op de atletiekbaan van Climax in Ede, en de komende week zullen er nog een aantal belangrijke momenten worden vastgelegd. Volgende week is het dan zo ver; dan begint ons Duitse avontuur en zullen we Kimberley filmen op de skeletonbaan. Blijf op de hoogte via onze Facebook en Instagram! Super! Thanks, the filmposter will be in you mail soon! Thank you so much, we are now one step closer to traveling to Winterberg. You will receive a link to the film. Wauw! You will receive a link to the filmmusic. This is great! To thank you, we will send you the filmposter, a link to the film and the exclusive filmmusic. Amazing! We'll let you choose: we'll make a promotional video for your company, or you will receive a photoshoot (you + friends/family) where we will shoot some professional profile pictures. Obviously, you will also receive a poster and a link to our documentary. Super! To thank you we will organise a screening at your local sportsclub and do a Q&A afterwards.